See also: Prophet Muhammad thoroughly prophesied in the Bible's Old and New Testaments. Detailed verses provided. [003:052] When Jesus found Unbelief on their part He said: "Who will be My helpers to (the work of) God?" Said the disciples: "We are God's helpers: We believe in God, and do thou bear witness that we are Muslims. [002:128] "Our Lord! make of us Muslims, bowing to Thy (Will), and of our progeny a people Muslim, bowing to Thy (will); and show us our place for the celebration of (due) rites; and turn unto us (in Mercy); for Thou art the Oft-Returning, Most Merciful. [003:064] Say: "O People of the Book! come to common terms as between us and you: That we worship none but God; that we associate no partners with him; that we erect not, from among ourselves, Lords and patrons other than God." If then they turn back, say ye: "Bear witness that we (at least) are Muslims (bowing to God's Will). [005:111] "And behold! I inspired the disciples to have faith in Me and Mine Apostle: they said, 'We have faith, and do thou bear witness that we bow to God as Muslims'". [016:102] Say, the Holy Spirit has brought the revelation from thy Lord in Truth, in order to strengthen those who believe, and as a Guide and Glad Tidings to Muslims. Regarding this last link, this is an 11-page must read article! 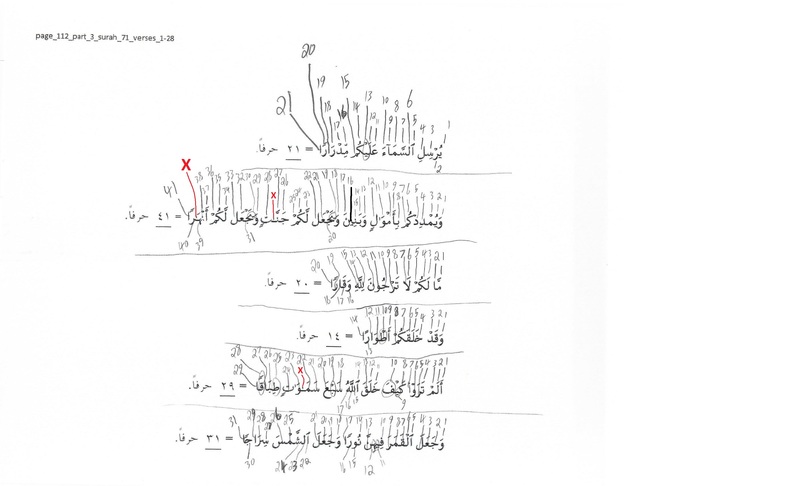 Muslimeen, Silm, Shlam, Shlama (in Aramaic, the "a" at the end is the definite article that is equivalent to the alif and lam "al"), Mashloome, Mushlimana, Mishalmana, Mishlam, Witness in Arabic and Aramaic, and Prostration in Arabic and Aramaic are thoroughly discussed in it. Also, the Hebrew Shalom or Shalam, which means "Peace" in Hebrew, implies "GOD's Peace be upon you" is also derived from the root Word, Islam. GOD Almighty's Eternal Peace and us submitting to Him and to His Divine Will in Peace, is also what His Divine Religion is. Islam is the Original Faith. Hebrews used to pronounce the "s" as "sh". They also pronounced the "a" as a thick "a". So Shalom is really Salam, which means "Peace" in Arabic, and implies GOD Almighty's Peace in Islam. Also, this is another good website for Hebrew Lexicon: http://www.scripture4all.org. Does Muhammad exist in the Bible? "And when Jesus the Son of Mary said, O children of Israel, verily I am the Apostle of God sent unto you, confirming the law which was delivered before me, and bringing good tidings of an Apostle who shall come after me, and whose name shall be Ahmed. And when he produced unto them evident miracles, they said, this is manifest sorcery. (The Noble Quran, 61:6)"
Prophet Jesus here has shed the light on the old Prophecy of the coming Prophet, Ahmed. So Ahmed was prophesied before Christ and also during Christ's lifetime. This film was also taken from this Youtube Channel. 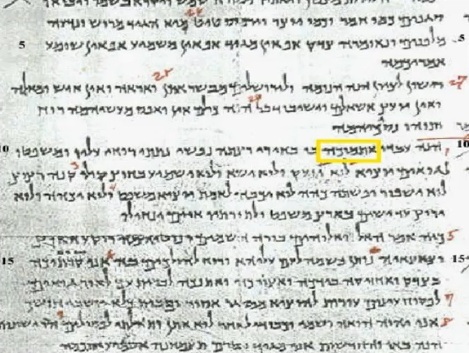 As the author of the video said, look at the Aramaic alphabets in the Wikipedia link given, below. 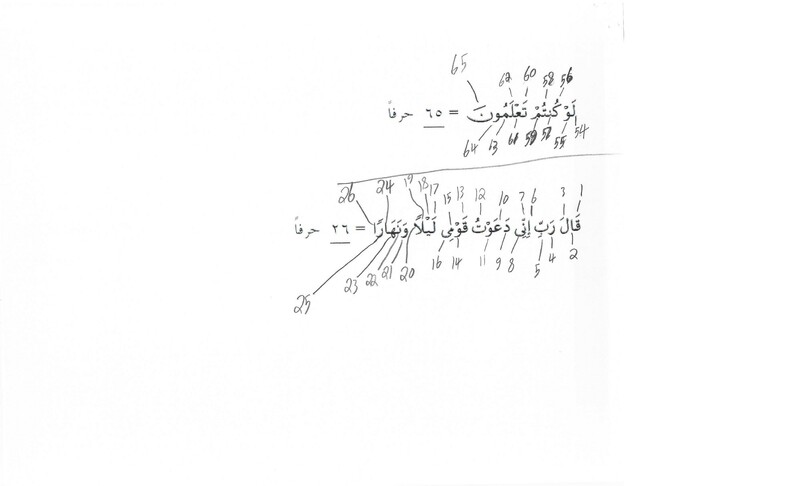 See how Hhet and Tav are written. They look very similar. 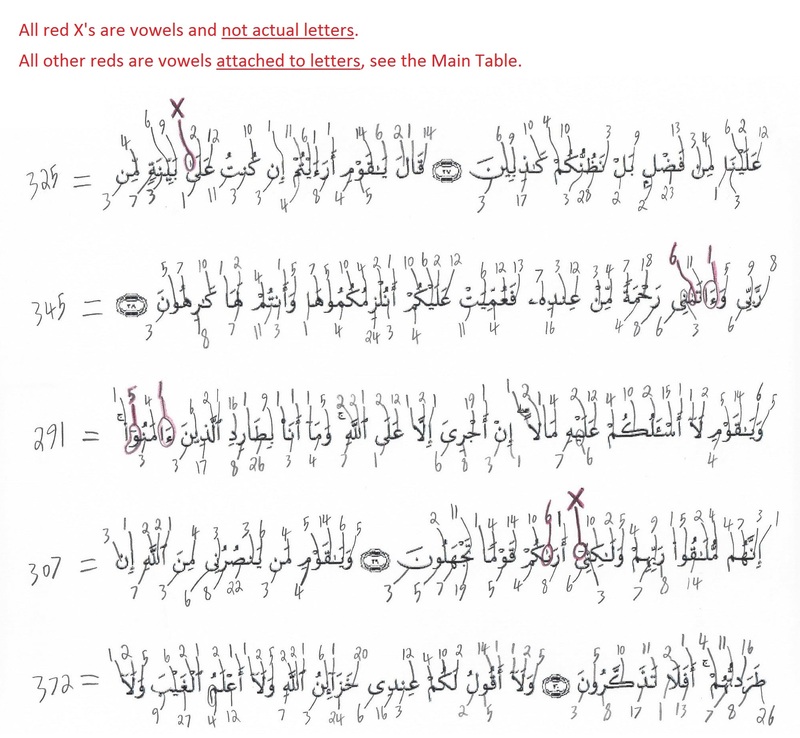 See also how the Dalet and Khaf are written, and how they're similar. 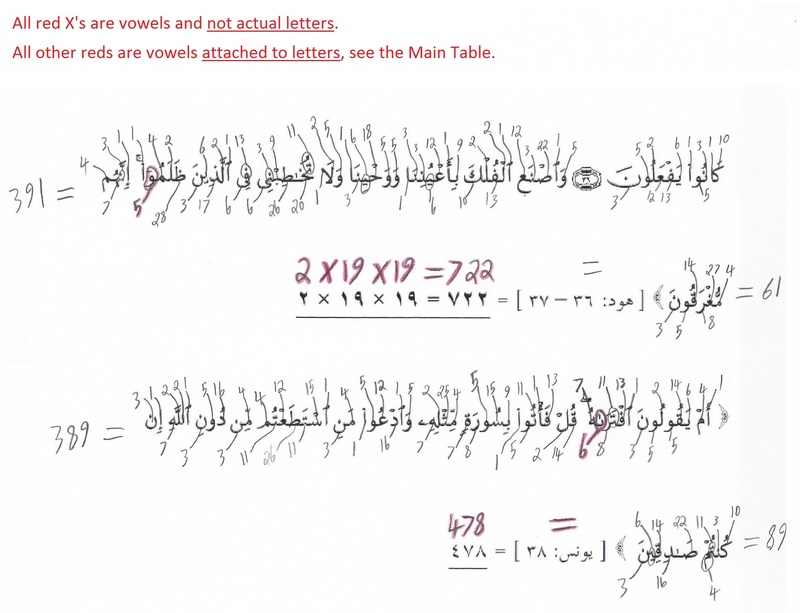 Now create your own "AHMAD" and "ETMAK" from these alphabets. Now, compare the two words, and see how similar they look. Compare the two words with the DSS by ignoring the vowels and accent ending. Which word look similar? Now read the whole chapter of Isaiah 42. And even if the DSS was not tampered with, was it written wrongly as the letters are very similar? The error could have gone back even before the DSS was written. 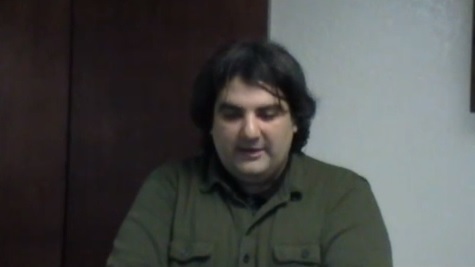 The Prophet who will come from the "EAST". The Bible defined "EAST" to mean Arabia, and the lands of Kedar and Teman (Saudi Arabia today). The Prophet who will come from "Arabia". The Prophet who will come from the lands and "tents of Kedar" and "lands of Teman". Kedar and Teman (also called "Tema" in the Bible) are two of Ishmael's sons: Genesis 25:13-15. The Prophet who will "crush the idols of the deserts of Kedar". The Prophet who will "fight the idol worshipers" in the deserts of Kedar. The people of Kedar will Glorify GOD Almighty, and GOD will Glorify His Holy Temple "in Kedar". "Arabia will rejoice and blossom". The Prophet who will come from the "Desert". Again, the Bible also defined the "Desert" to mean the lands of Arabia, Kedar and Teman. 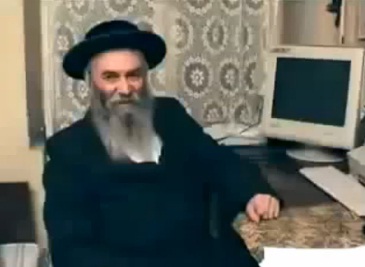 The Prophet of the "New Law" & "New Covenant", whom the Jews "must not fear". The Prophet who is "like Moses". Both Muhammad and Moses brought new Laws. There is the Law of Moses, which the entire Bible is built on, and there is the Law of the Holy Quran, which Islam is built on. - By the way, the "Kingdom of God" here means THE COVENANT & RELIGION OF GOD on earth to the new nation. - John 1:19-21 John was asked if he were the Messiah, Elijah, and then "The Prophet": John 1:21. - John 7:40-44, Jesus was supposed to come from David's line, while the Prophet was NOT. He was a foreigner. So the awaited Messiah and the awaited "the Prophet" were clearly TWO DIFFERENT PERSONS, who are strangers to each others, and are not from the same bloodline. Again, in John 1:19-21 John was asked if he were the Messiah, Elijah, and then "The Prophet": John 1:21. In John 7:40-44, Jesus was supposed to come from David's line, while the Prophet was NOT. He was a foreigner. So the awaited Messiah and the awaited "the Prophet" were clearly TWO DIFFERENT PERSONS, who are strangers to each others, and are not from the same bloodline. “Are you the Prophet?” [C the Prophet like Moses predicted in Deut. 18:15–19] they asked. 41 Others said, “He is the ·Christ [Messiah].” Still others said, “The ·Christ [Messiah] will not come from Galilee. 43 So ·the people did not agree with each other [L there was a division in the crowd] about Jesus. 44 Some of them wanted to ·arrest [seize] him, but no one was able to ·touch [L lay a hand on] him. What is the best way to convert a non-Muslim to Islam? Does the NT refute the Prophethood of Muhammad? A closer look at: Matthew 21:11, Mark 6:15, John 9:17, John 6:14, John 1:19-21, John 7:40-44, Acts 7. Did you know that the Bible declares in Matthew 24:25-27 that Jesus will return as an Arab? 25 See, I have told you ahead of time. 26 “So if anyone tells you, ‘There he is, out in the wilderness,’ do not go out; or, ‘Here he is, in the inner rooms,’ do not believe it. 27 For as lightning that comes from the east is visible even in the west, so will be the coming of the Son of Man. The Bible, throughout its books, has thoroughly defined the "East" to be the Arabs:   . Not only that, but the Bible and the Dead Sea Scrolls also predicted the coming of Prophet Ahmed from the east. Ahmed is Prophet Muhammad's prophetic name. Prophet Muhammad said that Jesus Christ will return from Damascus. So why won't Jesus Christ return as a Jew from Israel? See the Islamic Prophecies about the ONE-EYED dajjal (anti-Christ). 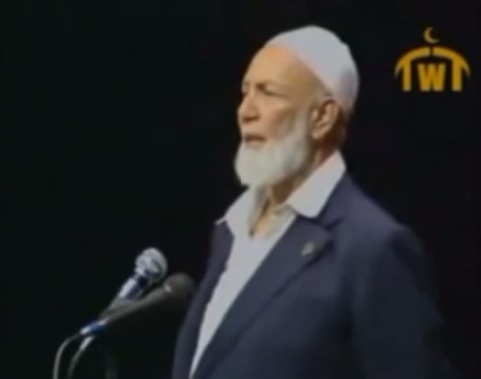 The Prophet who will bring the "Message of Peace" to mankind. Islam means being at Peace with GOD Almighty and Submitting in Peace to Him, the Almighty. The Prophet who is the "Light of the Gentiles". "Let the WORLD have a new heart (fresh start)!" The House of GOD will be "built in the desert" (the Kaaba in Mecca). The path of the desert will be called "the Path of Holiness". And the Prophet will lead 10,000 Saints to liberate it. Perfectly fulfilled in Islam! After John the Baptist, two were expected to come: (1) The Prophet, and (2) the Messiah. Did you know that the Bible declares in Matthew 24:25-27 that Jesus will return as an Arab, not a Jew? Not only that, but as we've seen above, the Bible and the Dead Sea Scrolls also predicted the coming of Prophet Ahmed from the east. Ahmed is Prophet Muhammad's prophetic name, as we've seen above. 1- Islam came to restore the Original Faith; the One Divine Religion of GOD Almighty to Mankind, which started with Adam and ended with Muhammad, peace, mercy and blessings be upon all of the Prophets and Messengers of GOD Almighty. In the Bible, Muslims, Salamays, Mushlams, Mushlems, Mushlimana are the Believers' original title in the Hebrew & Aramaic Bible's Scriptures. 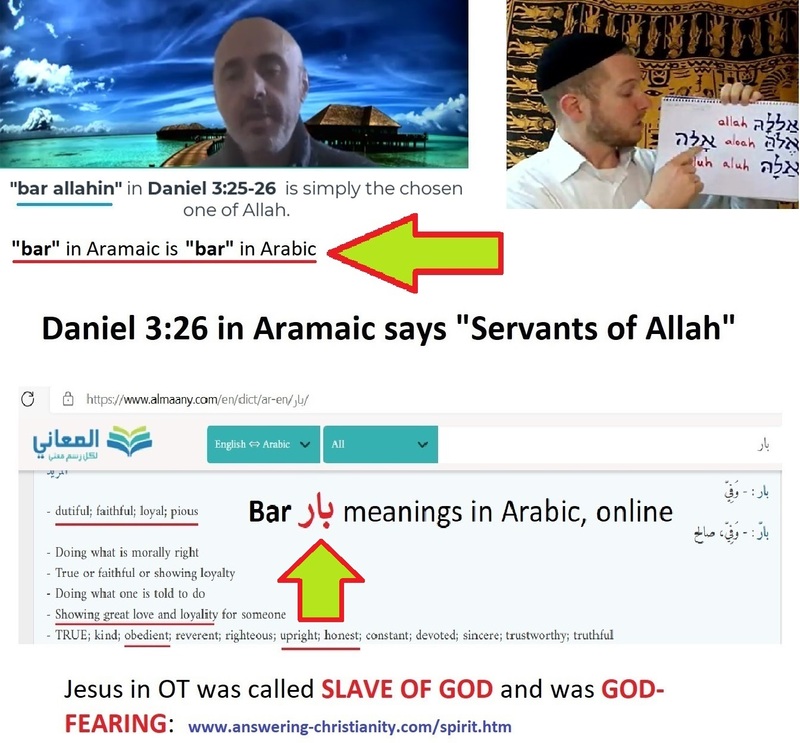 Also the Bible's Shlam, Shlama (in Aramaic, the "a" at the end is the definite article that is equivalent to the alif and lam "al"), Mashloome, Mushlimana, Mishalmana, Mishlam, and also Witness in Arabic and Aramaic, and Prostration in Arabic and Aramaic are thoroughly discussed in the following text articles:    . Also the Hebrew Shelem (Selem), which is derived from the root Shalam, is the same as the Glorious Quran's SELM سلم. Hebrews pronounce the "s" as "sh", and the "a" as an "o". 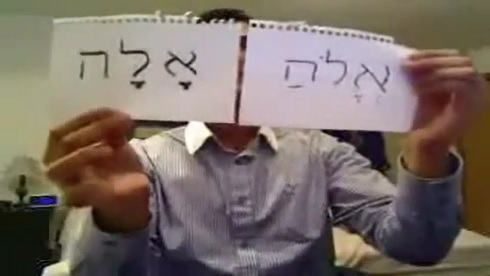 So "shalom" is really Salam (peace in Arabic). Also the Hebrew Salam (Shalom) is the name of Islam in the Glorious Quran (سبل السلام). Scroll below for more from the Glorious Quran. "The Religion before God is Islam (الاسلام submission to His Will)...." (The Noble Quran, 3:19). "O ye who believe! Enter into Islam (في السلم into the Selm (another name for Islam)) whole-heartedly; and follow not the footsteps of the evil one; for he is to you an avowed enemy." (The Noble Quran, 2:208). "Wherewith God guideth all who seek His good pleasure to ways of peace and safety (سبل السلام Islam here is called the way of peace and safety), and leadeth them out of darkness, by His will, unto the light,- guideth them to a path that is straight." (The Noble Quran, 5:16). "But God doth call to the Home of Peace (دار السلام Islam here is called the House of Peace): He doth guide whom He pleaseth to a way that is straight." (The Noble Quran, 10:25). Islam is GOD Almighty's Religion to all of His creations. It means submitting yourself to Allah Almighty, and to be at Peace with Allah Almighty. What is the Wisdom of Islam? And how will Allah Almighty Judge both Muslims and non-Muslims? The Blessed Jesus peace be upon him and Place of Jews and Christians in Islam. 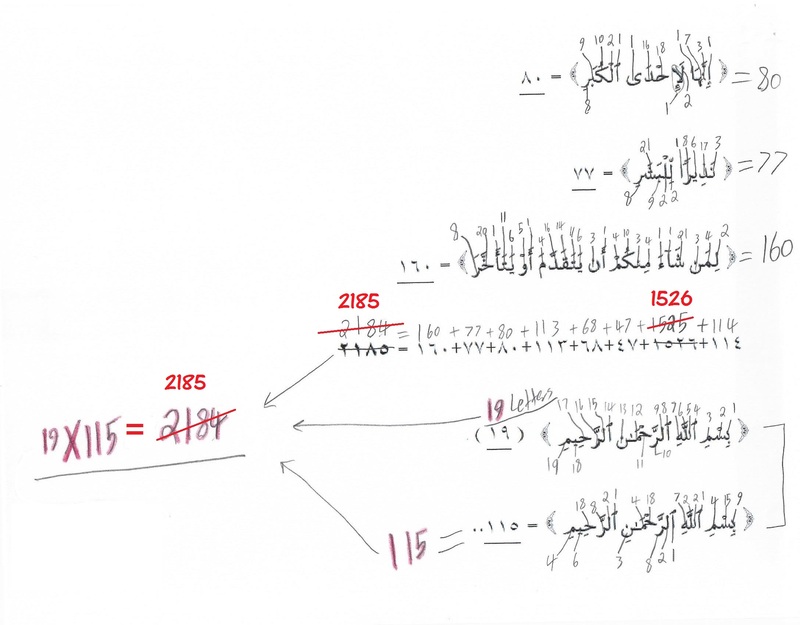 Circumambulation (tawaaf) 7 times around the Kaaba is also by the exact number in the Bible. Prostrating to GOD Almighty in the direction of His Holy Temple was done by all of the Prophets, including Jesus. Luke5:33 They said to him, "John's disciples often fast and pray, and so do the disciples of the Pharisees, but yours go on eating and drinking." Matthew 6:16 "When you fast, do not look somber as the hypocrites do, for they disfigure their faces to show others they are fasting. Truly I tell you, they have received their reward in full." Also "Shalom" or Shalam, which means "Peace" in Hebrew, implies "GOD's Peace be upon you" is also derived from the root Word, Islam. GOD Almighty's Eternal Peace and us submitting to Him and to His Divine Will in Peace, is also what His Divine Religion is. Islam is the Original Faith. Hebrews used to pronounce the "s" as "sh". They also pronounced the "a" as a thick "a". So Shalom is really Salam, which means "Peace" in Arabic, and implies GOD Almighty's Peace in Islam. "Say: 'O People of the Book (i.e., Jews and Christians)! Come to common terms as between us and you: That we worship none but Allah; that we associate no partners with Him; that we erect not, from among ourselves, Lords and patrons other than Allah.' If then they turn back, say ye: 'Bear witness that we (at least) are Muslims (bowing to Allah's Will).' (The Noble Quran, 3:64)"
"Invite (all) to the Way of thy Lord with wisdom and beautiful preaching; and argue with them in ways that are best and most gracious: for thy Lord knoweth best, who have strayed from His Path, and who receive guidance. (The Noble Quran, 16:125)"
What is the Wisdom of Islam? What is the place of Jesus, Christians, Jews and non-Muslims in Islam? Also on the title of the Arabian Prophet being the "Light of the Gentiles", we see that this title was given to him numerous times in both the Bible's Scriptures and the Dead Sea Scrolls. 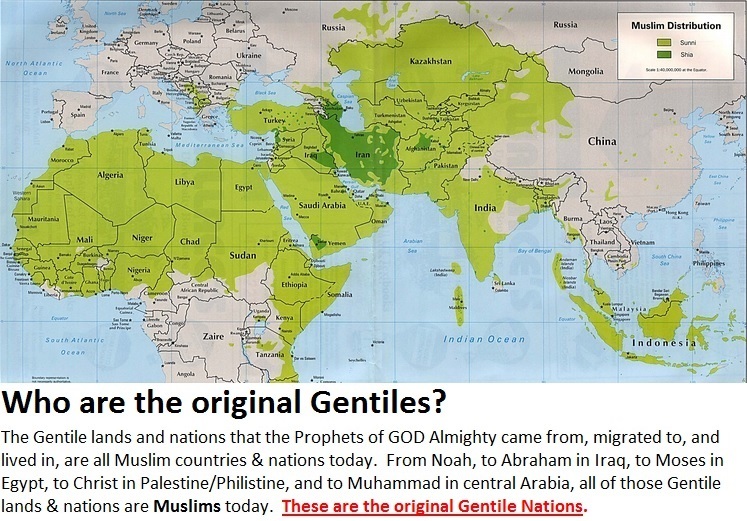 And this shouldn't really come as a surprise to anyone, since truly the Gentiles of the Old Scriptures are the Muslims after Islam came to restore GOD Almighty's Original Faith. So the Light that the Gentiles were going to receive was Islam; GOD Almighty's One and Original and Final and True Faith to all of mankind. The Christians are the least disliked by GOD Almighty from among the disbelievers: Noble Verse 3:55. Out of all disbelievers, Muslims will find the Christians to be full of love and mercy: 5:82. فوق in 3:55, below in the article, means to put them above, or to make them better in status. Allah Almighty in Noble Verse 30:1-5 promised to make the Romans be victorious, because they were Christians. But they still believe in conjecture: 4:157, 53:28, and they are among the misguided and those who went astray 1:7. They're also crooked in their beliefs: 3:99, 7:45. Many of the Christians doubt trinity; a word that doesn't exist in the Bible! Those Christians are closest to Islam, as long as they don't speak ill of Islam. The same with the Jews who don't speak ill of the Prophets that came after such as Jesus and Muhammad: 3:113-114. 1- What does "The Father" really mean in the Bible? How is it defined in Islam? (see point #5 below) How does the Bible really define it? 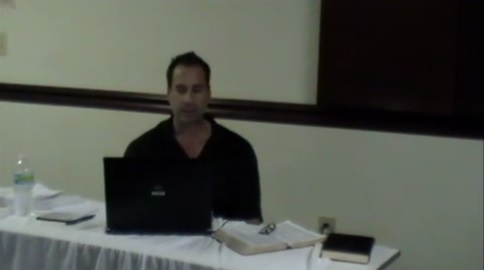 2- What does "Son of GOD" really mean in the Bible? 3- Jesus had to at least match Melchizedek in Miracles and Power. See this text-debate between me and a Christian brother. 4- Does the Bible say that Yahweh created Jesus? Yes it does. "In the beginning was the Word, and the Word was with God, and the Word was God was with authority (same Greek word for satan's rule  )." Detailed discussion about Jesus' Will with ample verses. (a)- GOD Almighty, who is not seen by anyone or anything, nor is like unto anyone or anything. (b)- The World of Command, which is the invisible world of the Beings that were made by the Word and the Spirit. (c)- The World of Creation, the flush and blood, dust and water physical world and Universes (plural). Also visit: Is the Noble Quran a Creator or Creation? See Noble Verses 8:40, 22:13, 22:78. In Arabic we say , which means "The Legal Guardian". المولى is derived from the root word ولي .ولي also means a chosen friend to Allah Almighty, as in the following point. [002:257] Allah is the friend (ولي) and patron of those who believe. He brings them out of the depths of darkness into light. While those who do not believe, have the forces of evil as their friends; they lead them out of light, into the very depths of darkness. Such ones shall be the inmates of the fire. They will stay there forever. [003:122] (And remember) when the two groups among you lost heart (and almost fell out), even though Allah was their Friend and Protector (وليهما)? In Allah (alone), should the believers place their trust! [004:125] Who can be better in religion than one who submits his whole self to God, does good, and follows the way of Abraham the true in Faith? For God did take Abraham for a friend (خليلا). 6- The Quran's Overwhelming Scientific Miracles! Revolves around itself, or its own axle? Also, all celestial bodies are يعرجون Yaa'rujoon (traveling in orbits) in space. 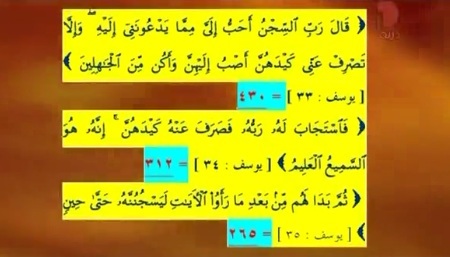 This video is about Noble Verses 32:5, 34:2, 57:4, 70:3-4 and others, and the Arabic words عرج , عروج , معارج and معراج that all refer to "going in an orbital and curvy path" in the Glorious Quran and our Islamic Texts. 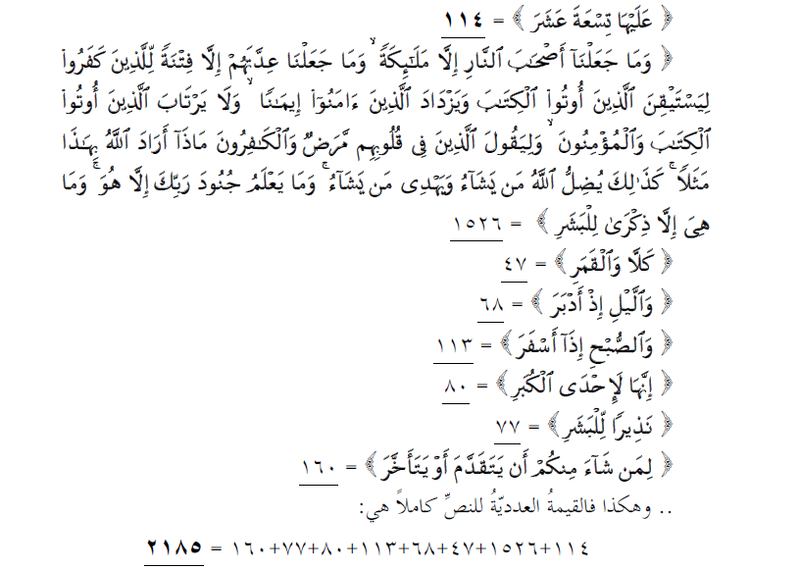 The Glorious Quran has 114 Chapters. The sum of those Chapters is 6555 (1+2+...+114 = 6555). 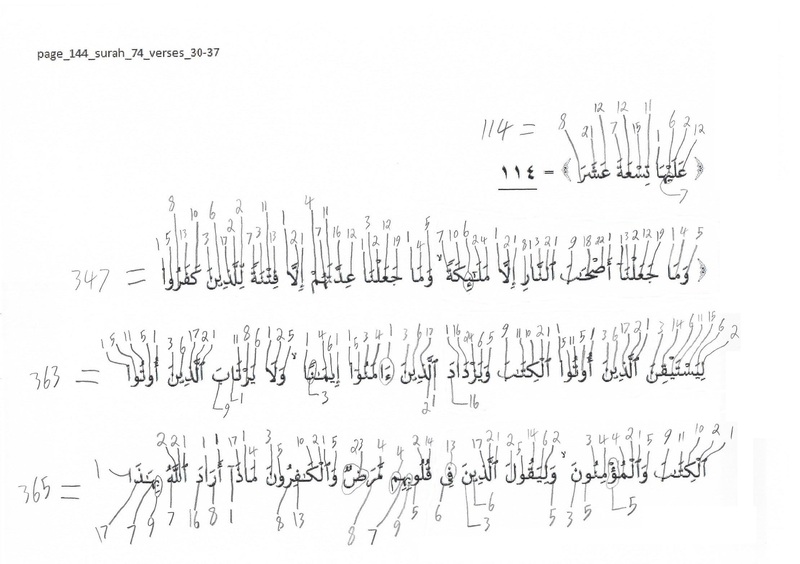 There are also 6236 Noble Verses in the Glorious Quran. 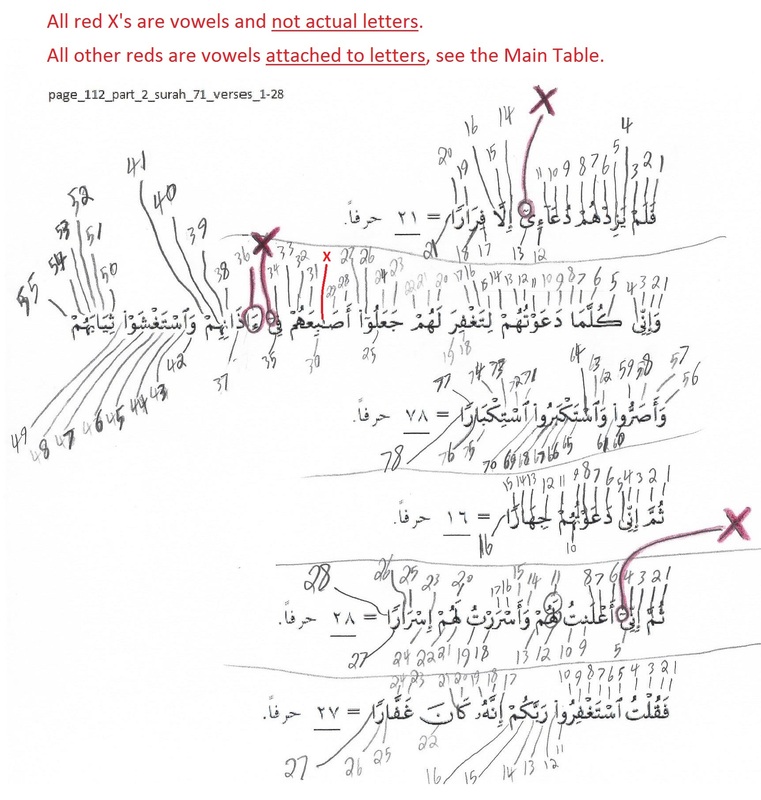 Now, IF YOU ADD EACH CHAPTER # with the number of its Verses, then you get a list of numbers. So 1 (first Chapter) + 7 (# of its Verses) = 8. Do this for all Chapters. 1- The sum of the odd numbers from the list = 6555. 2- The sum of the even numbers from the list = 6236. See the XLS file for 100% confirmation. 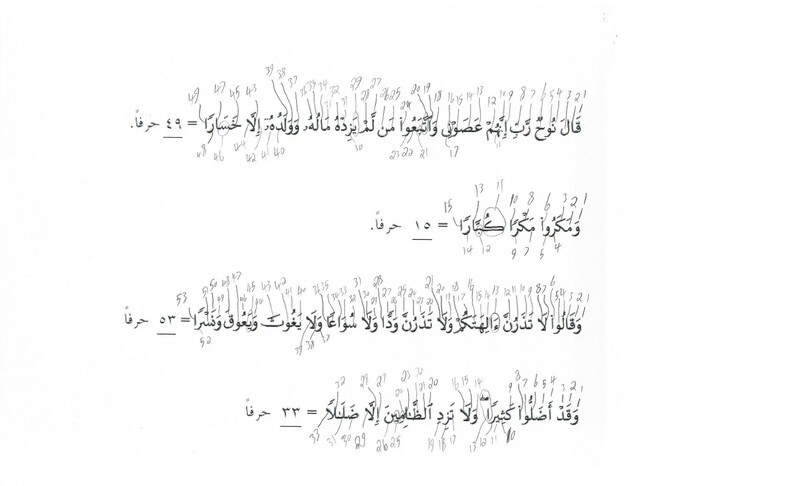 Dr. Zaghloul Al-najjar has proven the Speed of Light in the Glorious Quran: Time and the Speed of Light precisely calculated and mentioned in the Noble Quran. Speed of Light detailed article. 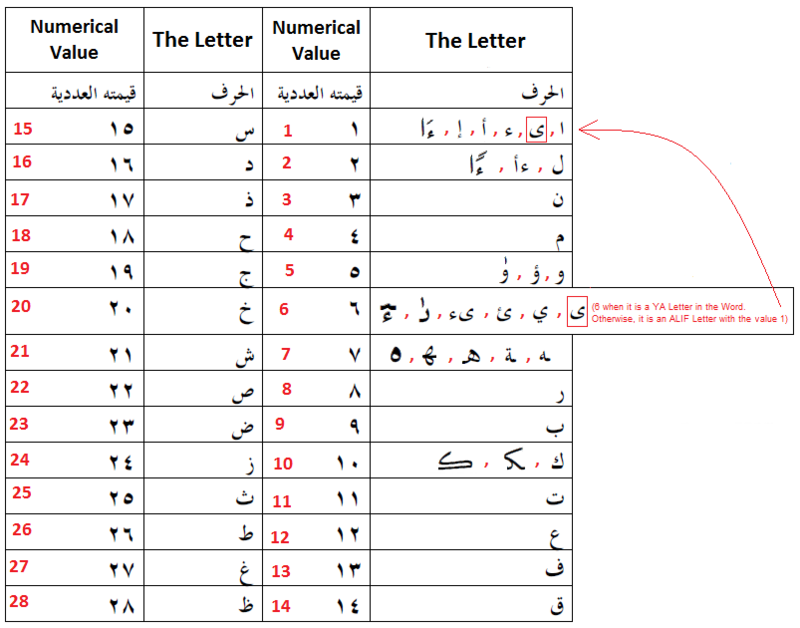 This is a more detailed table than the one that the Engineer Mr. Adnan Al Refaei  المهندس عدنان الرفاعي gave in his book on page 140, which is page 136 in the PDF file (If you see gibberish, then install these required fonts & instruction. My Sony Vaio laptop didn't require them. My other older computers did. The fonts on my Sony Vaio also seem a bit better than these ones. So please only install them if you see gibberish). 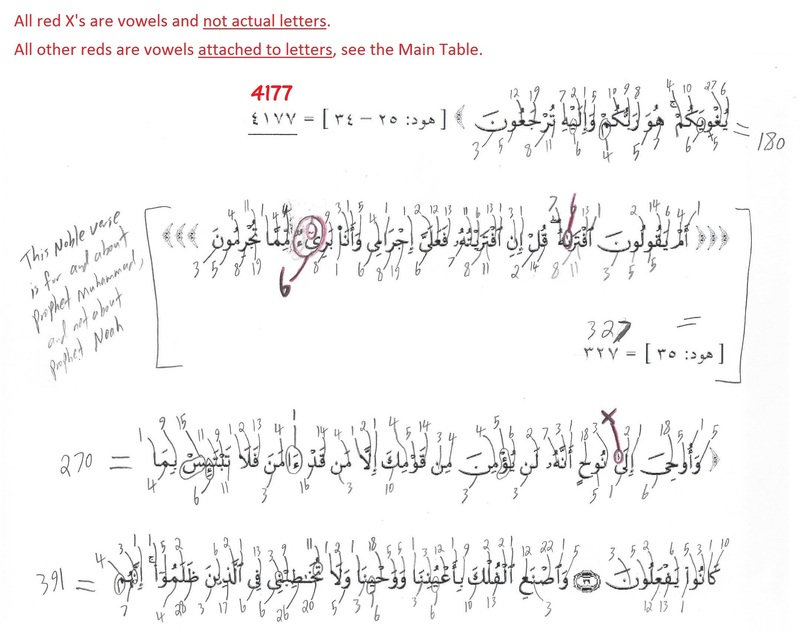 2- The determination of what constitutes a "written letter" (also known as a "drawn letter") from the Holy Quran, which is all specified in the table in the link above, was made from Noble Chapter 71. The Chapter is called Surat Nuh. Nuh is Prophet Noah, peace be upon him. 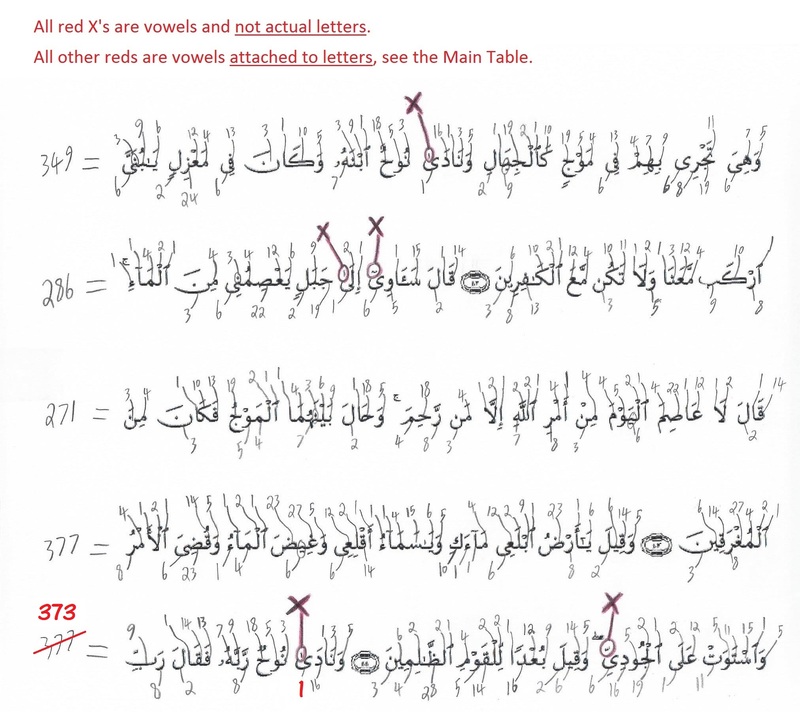 Allah Almighty used this Noble Surah to clearly and indisputably determine what is a drawn letter from a vowel in the Holy Quran. 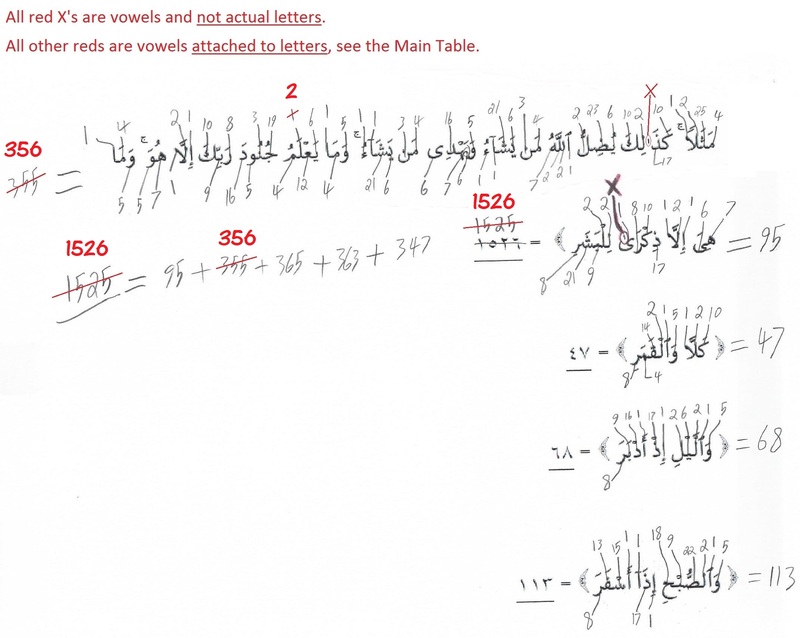 Only the written letters have numerical values. Vowels don't have numerical values. 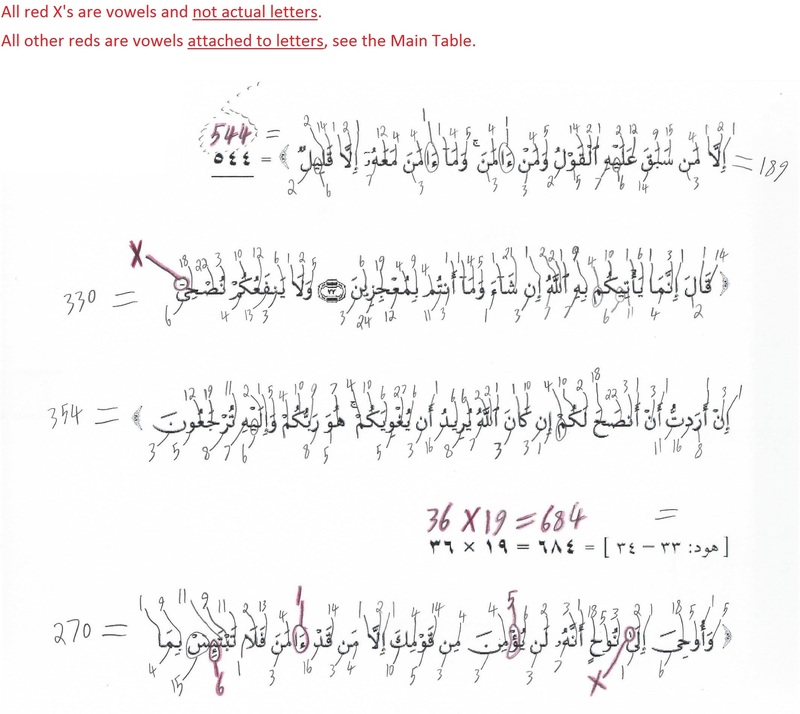 There are many other examples that Mr. Adnan Al Refaei  المهندس عدنان الرفاعي gave in his book (Again, if you see gibberish, then install these required fonts & instruction. My Sony Vaio laptop didn't require them. My other older computers did. The fonts on my Sony Vaio also seem a bit better than these ones. So please only install them if you see gibberish). 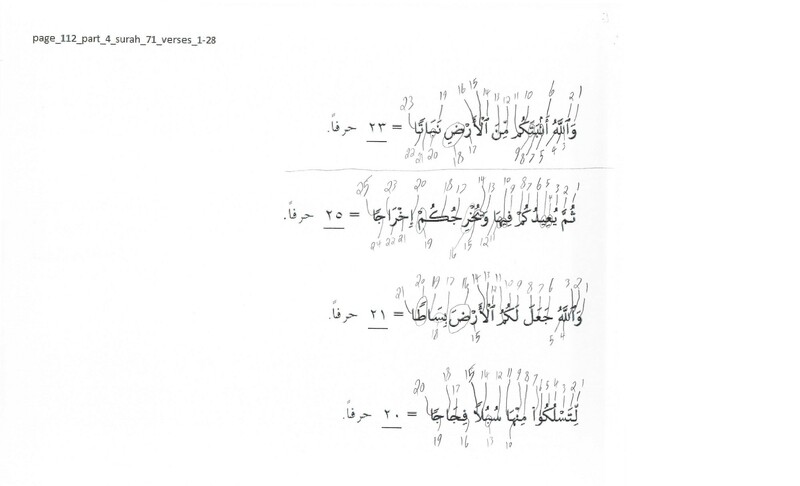 (a)- The Noble Verses and Statements of the Holy Quran that are correlating to each others, and are ones that collectively make up an entire case, - a full picture, - will have a total numerical value that is divisible by the number 19 without any remainder. Now with my new modification, the division would allow for a remainder that is a fraction of 1% of the total sum. 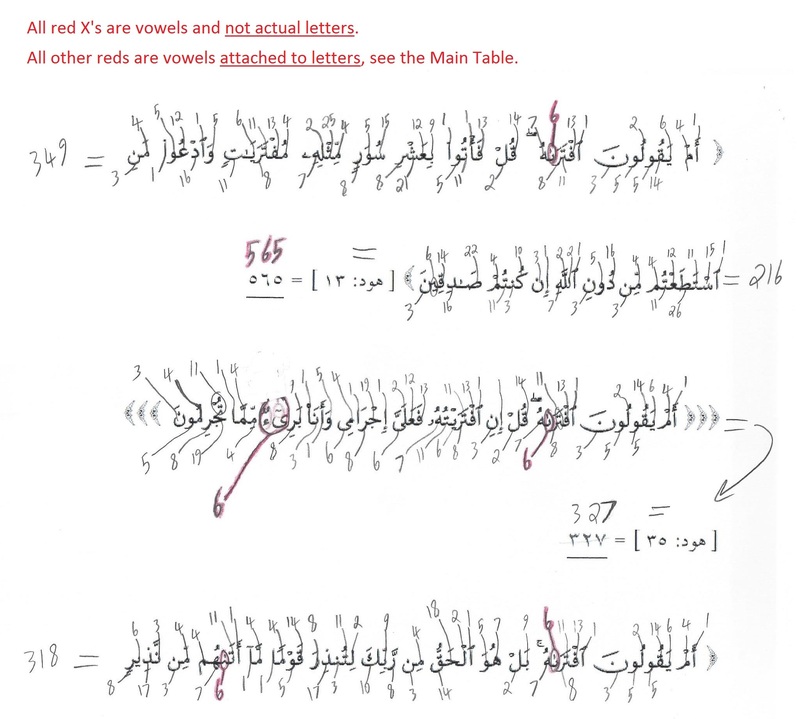 And if we use the vowel-variables rule that Mr. Adnan used (see point #6 below), then we would have no remainder at all in all cases. 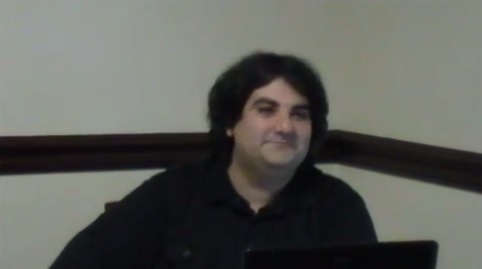 (b)- You can also watch The Great Miracle, Part 2, Episode 10, by the Engineer Mr. Adnan Al Refaei  المهندس عدنان الرفاعي	Translated to English by Osama Abdallah (me). 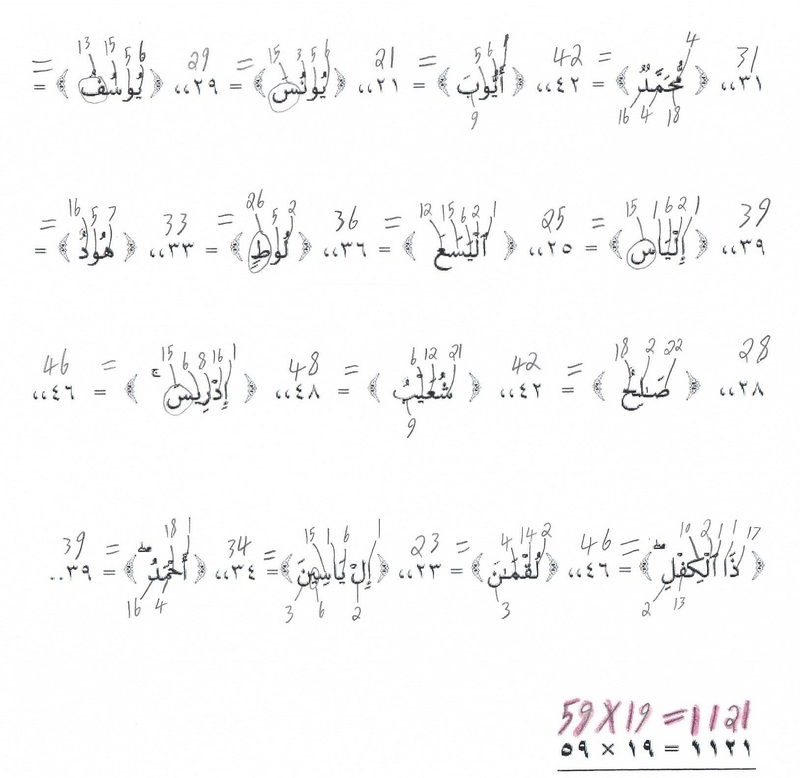 Allah Almighty Said that the Number 19 Sign is "One of the Greatest Miracles" (74:35) in the Noble Quran. 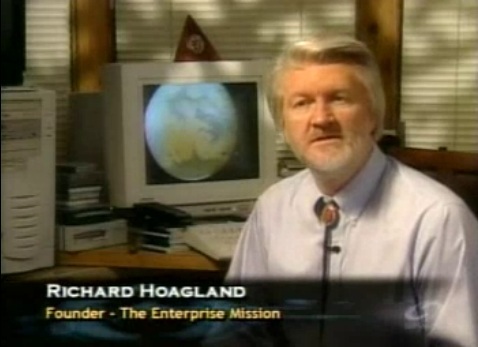 This Miracle is thoroughly examined throughout this TV Program. 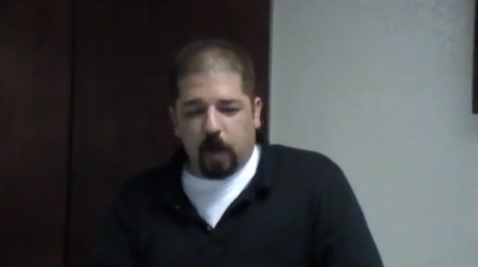 You can download this video, and all of the videos that are available on my website at: http://www.answering-christianity.com/free_downloads.htm. I only processed 1/3 of the book so far. But the examples that I provided give thorough demonstration and ample examples that demonstrate this Great Divine Miracle from the Glorious Quran. 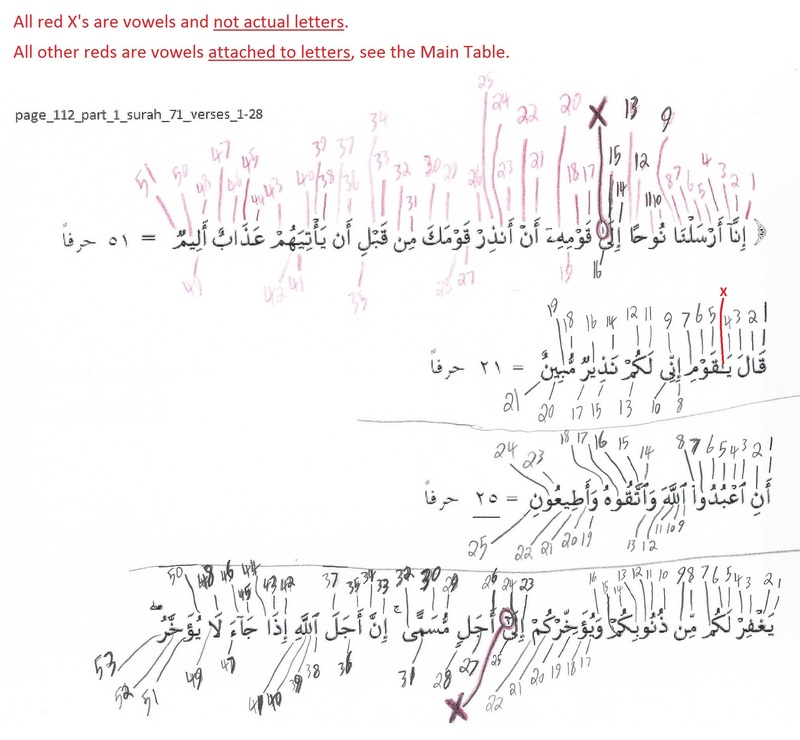 (a)- Text documentation and compilation. 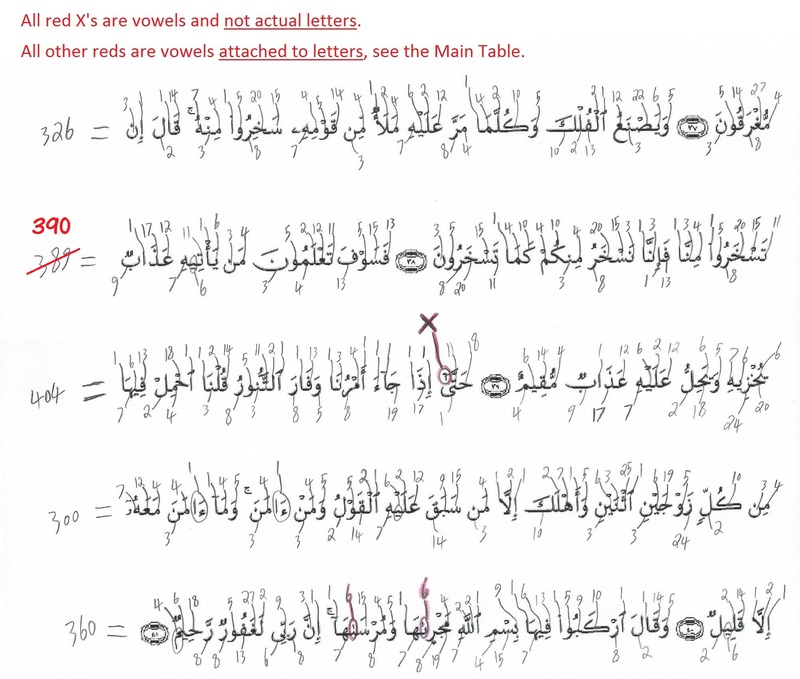 (b)- Reading and Noble Words and Letters pronunciations. 6- In the images, you'll notice that on rare occasions some of the divisions are by numbers such as "19.0013..." or "18.99" and not a perfect "19". 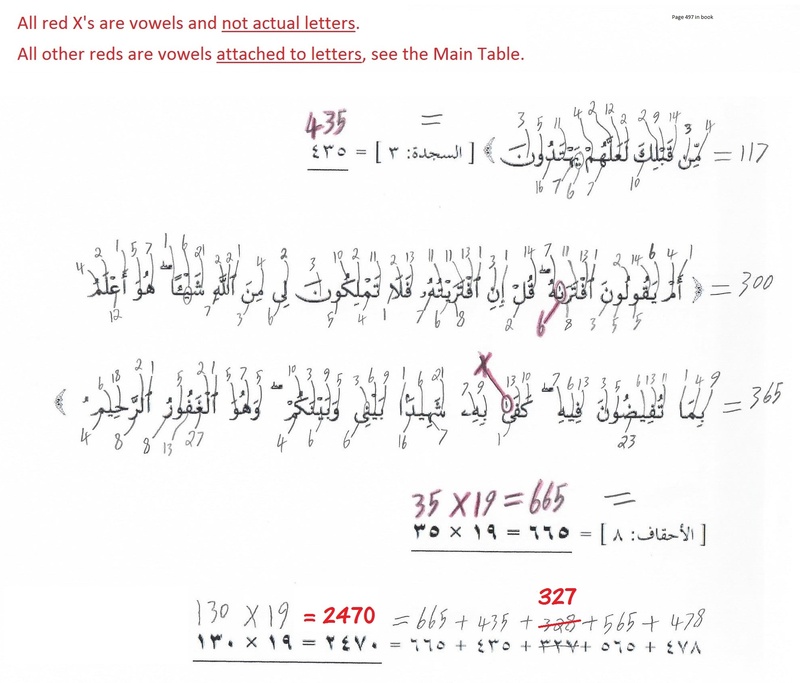 While you'll notice that while Mr. Adnan's numbers are perfect multiples of the number 19 without any remainder, you'll see that my MODIFIED or CORRECTED ones are slightly off from his. 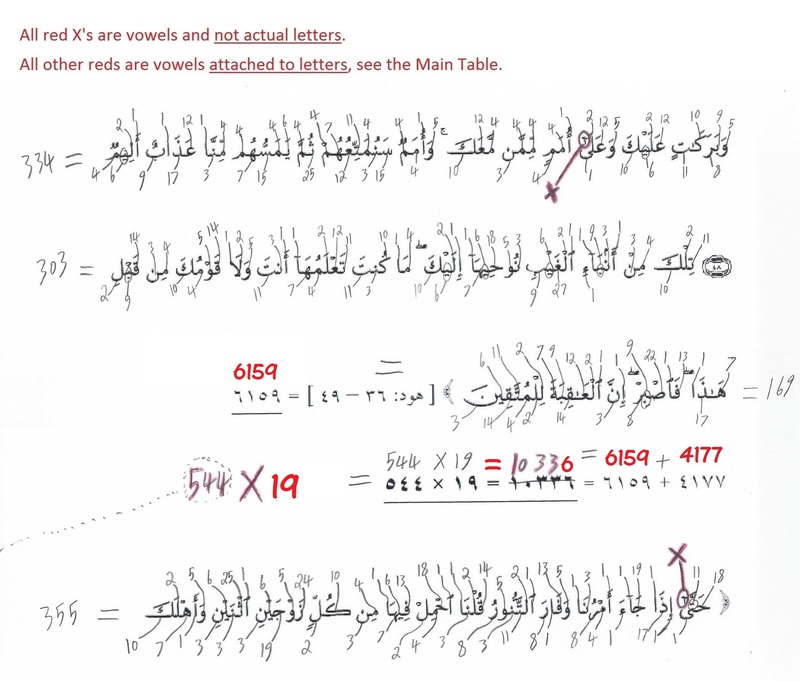 This is because Mr. Adnan chose to use the ALIF and HAMZA vowels as variables, because they are variable vowels where they sometimes equal to 0 and sometimes equal to 1 depending on the Noble Verses that they're in. Me on the other hand, chose to not count them at all, because they're not Drawn Letters. 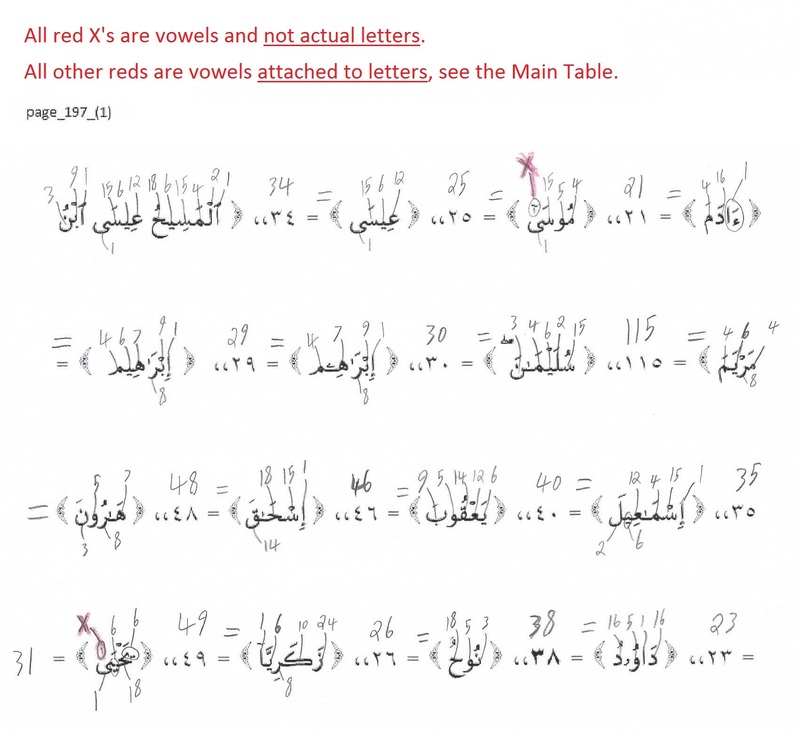 But according to Mr. Adnan, these variable vowels are there for Divine purpose from Allah Almighty. I chose the other approach to still prove the Holy Quran's Divine Miracle from even the future doubters' and critics' worst possible scenarios. Even using this approach, the Divine Miracle still remained consistent 100% of the time. But in anyway, both approaches are valid, and both divide by 19.0, anyway, whether is it by a perfect 19, which is most of the times, or by the rare occasions of 19.00.... or 18.99..... So the Miracle is still 100% there. Spherical Geometry, the number 19 Miracle, the Inner-Nature of the Planets' System, and the Universe's function. 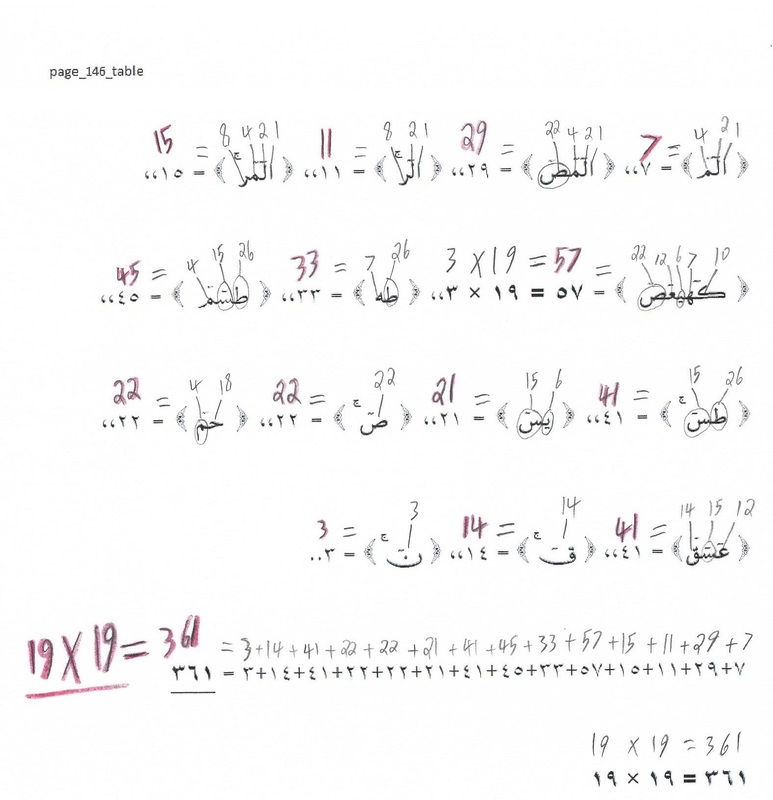 The Glorious Quran Says that Number 19 is لاحدى الكبر "One of the Great Ones (i.e., Miracles)". And last and not least, indeed, all Praise and Glory are due to Allah Almighty Alone for making the Noble Quran be the Perfect and Everlasting Miracle, for us humans, out of all of His Divine Miracles! And may Allah Almighty send His Peace, Mercy and Blessings upon our Beloved and Blessed Prophet, Teacher and Role Model, Muhammad. Ameen. Indeed, all Praise and Glory are due to Allah Almighty alone for making the Noble Quran be the Perfect and Everlasting Miracle, for us humans, out of all of His Divine Miracles! And may Allah Almighty send His Peace, Mercy and Blessings upon our Beloved and Blessed Prophet, Teacher and Role Model, Muhammad. Ameen. Is the Bible the True Word of GOD Almighty? Also visit: Answering Trinity section. As Muslims, we must be very careful when we comment on the previous Scriptures, because there is always a possibility that there might be Divine Revelations parts in the verses that we might be objecting to. 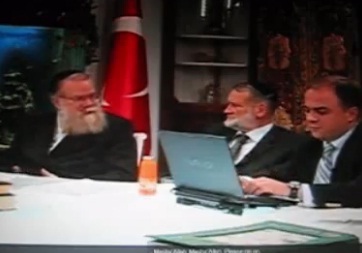 I know that the many of the disbelievers constantly insult and mock Islam all the time, and even lie on their own Scriptures with their "End of Times Prophecies" lies, -where they hijacked even the Bible with their bigotry, hate and lies, - but still dear brothers and sisters in Islam, we must always be very careful when we deal with previous Scriptures, because as Muslims we do believe that they do contain remnants of Divine Revelations in them. May Allah Almighty forgive me, and forgive all sincere Muslims, for any and all mistakes and errors that we may have fell into. Ameen. See also: The Islamic Prophecies section. Narrated Ibn Umar: "Once Allah's Apostle stood amongst the people, glorified and praised Allah as He deserved and then mentioned the Dajjal (anti-Christ) saying, "l warn you against him (i.e. the Dajjal) and there was no prophet but warned his nation against him. No doubt, Noah warned his nation against him but I tell you about him something of which no prophet told his nation before me. You should know that he is one-eyed, and Allah is not one-eyed." (Translation of Sahih Bukhari, Volume 4, Book 55, Number 553)"
Prophet Muhammad had many visions about the dajjal, and gave many signs about him. Some of the things the Prophet said about the dajjal were literal, and some were vision-metaphors. The most prominent one is that he will be one-eyed. This is both literal and metaphoric. It is literal today because the zionist anti-Christ system is indeed represented by the ONE-EYE symbol as seen in the following images. The metaphors here are Allah Almighty not being ONE-EYED, because nothing can describe Allah Almighty. There is "none like unto Him" (Quran, 12:4). For ample more details and proofs, please visit link below. 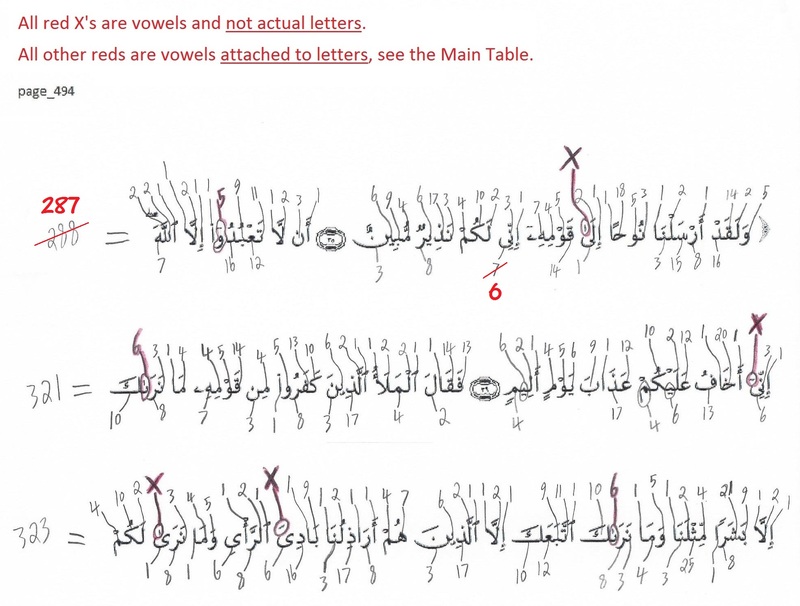 Was the Islamic ONE-EYE Prophecy foretold before Islam in the Bible's Zechariah 11:17? 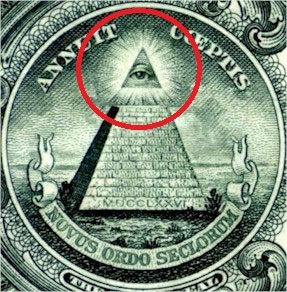 I demonstrated using ample Biblical verses that the ONE-EYED DAJJAL (anti-Christ) was never prophesied in the Bible to be ONE-EYED, nor was this Sign ever given in the Bible to any being. I also showed how Jesus Christ, from among many other verses, used this "right eye" expression. So it was never a Sign about the dajjal before Islam. It was no more than a general language of the Bible. The Bible in many verses uses "right hand" and "right eye" expressions for people and for GOD Almighty. None of these are Signs to anything. The ONE-EYED Dajjal's Signs and Powers according to Islam. Also visit: 9/11 was 100% an Israeli Mossad Operation! Listen also to Jeremiah 18:1-10! 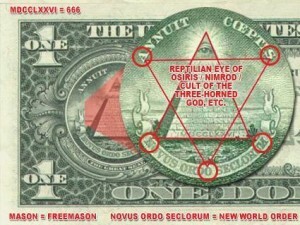 The 666 symbol is actually referring to today's neo-con Christianity and Zionism! 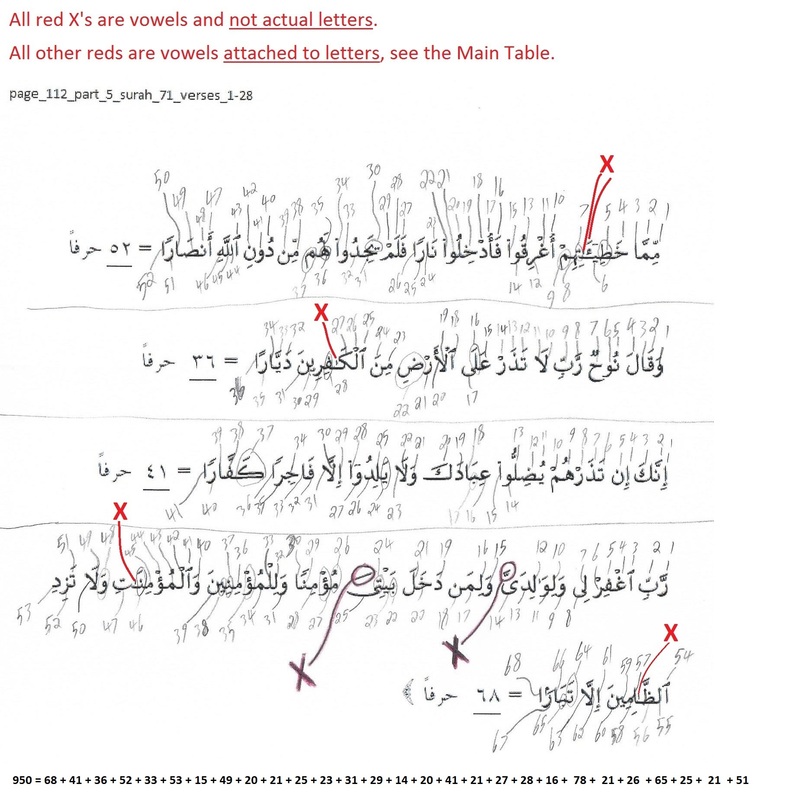 See the clear-cut proofs and images here. 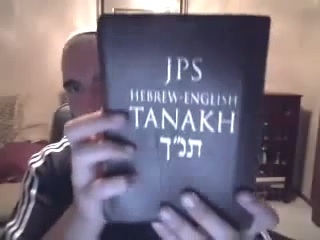 Also see the sub-section: The Israeli 666 symbol. Does the Bible predict the dividing of Israel? Who are the nations that divided Israel? And what will be their punishment? 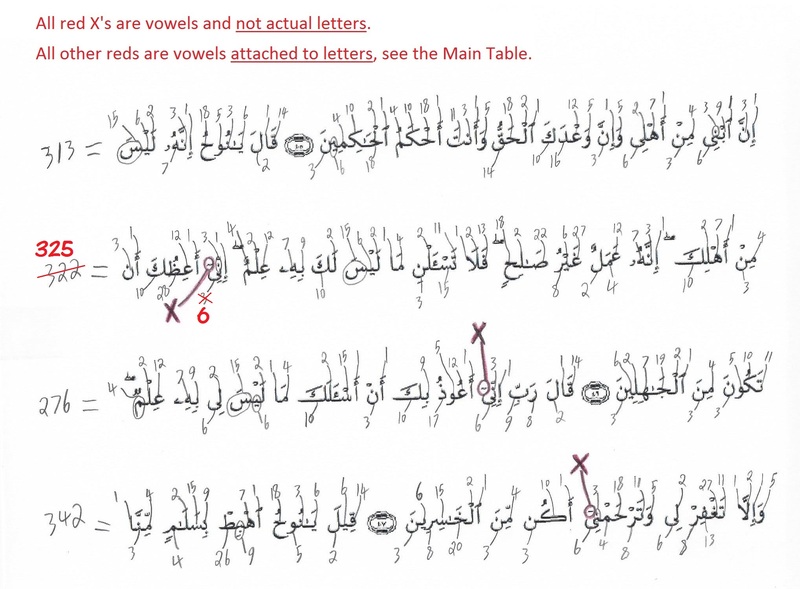 Was the Islamic ONE-EYE Prophecy foretold before Islam in the Bible's Zechariah 11:17? So, what was the Gospel of Jesus Christ then, i.e., the Injil of Jesus Christ? Even among Christians, this remains a mystery. But the Didache; a Gospel which existed even before the current Bible-Gospels (or canonized Gospels), contains a great deal of teachings of Jesus Christ. The following points are important to always keep in mind: (1)- No single Scripture, the Didache or any other Scripture, is 100% pure and accurate. There are always forgeries and alterations. This is the same with every single book and gospel. 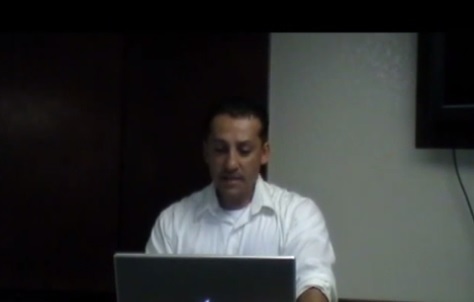 (2)- The Original Teachings of Christ exist in Scriptures that are in the Bible and outside the Bible. For ample proofs, watch the debate-video above. And always remember to visit: The Overwhelming Scientific Miracles in the Glorious Quran Section. I will insha'Allah post verses and quotes from Jewish sources regaring Islam and Muslims. This is an 11-page must read article! 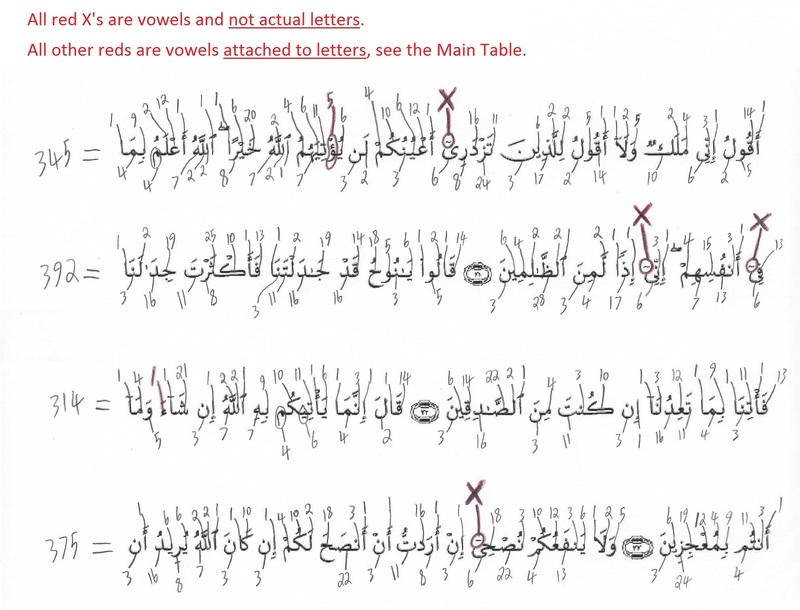 Muslimeen, Silm, Shlam, Shlama (in Aramaic, the "a" at the end is the definite article that is equivalent to the alif and lam "al"), Mashloome, Mushlimana, Mishalmana, Mishlam, Witness in Arabic and Aramaic, and Prostration in Arabic and Aramaic are thoroughly discussed in it.